An all in one adventure; The Real Deal Tours' Arenal Super Combo including the Hanging Bridges, Waterfall and Arenal Volcano hike will by far become one of your best experiences in Costa Rica! You’ll hike approximately 1.5 miles to reach the hanging bridges of Arenal which are strategically and securely placed among the towering trees. Howler monkeys, spider monkeys and many other types of animals can be seen while hiking. The true fun begins when you walk across the suspension bridges and experience a bird’s eye view of the entire rainforest. There are a total of 15 bridges navigating the rainforest, 6 of which are suspended in the tree tops. After all the excitement of high altitudes, you’ll get to enjoy a refreshing dip in the pristine waters of La Fortuna Waterfall before settling in for a delicious Costa Rican lunch at La Fortuna restaurant. After your buffet dinner, we’ll take you to the base of the Arenal volcano to enjoy a picturesque sunset. Children: There is not a minimum age, children ages 0-5 enter free, children ages 6-11 pay children's price (children's prices apply depending on the Hot Spring option), children ages 12 and up pay the same price as an adult. 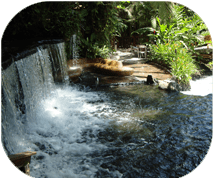 Arenal Super Combo deposit is $30.00 per adult and $15.00 per child. Children: There is not a minimum age and children´s prices apply depending on the hot spring option. Arenal Super Combo deposit is $45.00 per adult and $25.00 per child. 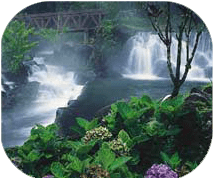 Arenal Super Combo deposit is $40.00 per adult and $25.00 per child. The Springs Resort and Spa offers an array of on-site facilities, including hot springs, cold pools, four restaurants, a spa and fitness center. 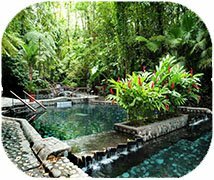 The Five-Star Resort's steamy hot springs and the property´s riverfront rainforest reserve with its mineral pools will be a captivating backdrop for all visitors. ABC´s popular television program the Bachelor was filmed here. 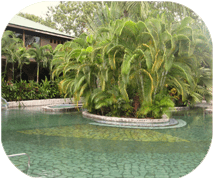 Arenal Super Combo deposit is $45.00 per adult and $35.00 per child.